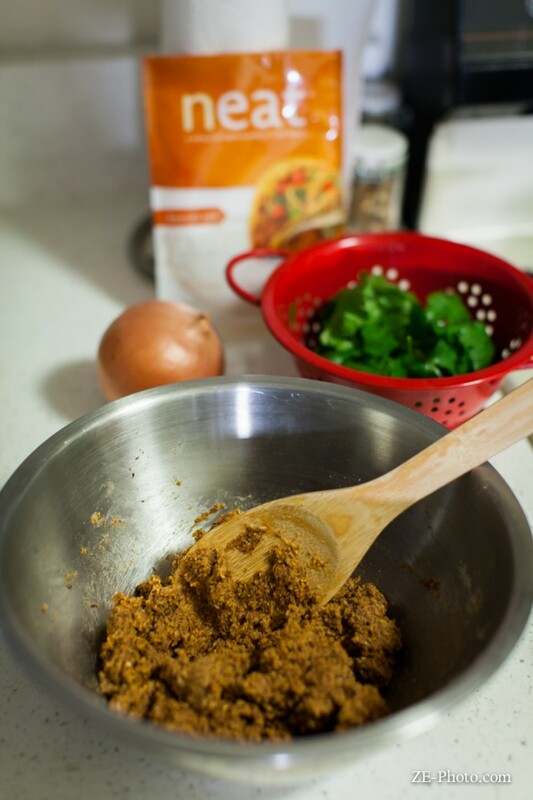 Neat comes in a pack with dry ingredients and you add water and egg substitute (I used EngerG, but ground flax would probably work nicely as well) then brown it up in a pan. This makes it perfect for traveling because you don’t have to worry about packing perishable items. Heading to grandma’s in the middle of bum frick nowhere and want to make sure you can make yourself a decent meal out there? Throw some of these in your suitcase and you’re good to go! 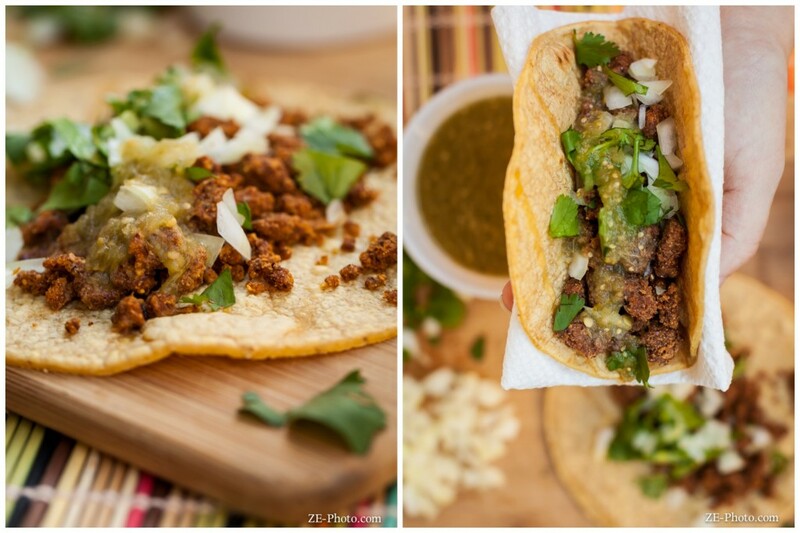 I was most excited to try the Mexican variety and figured a great way to test the flavor would be in a simple street taco. 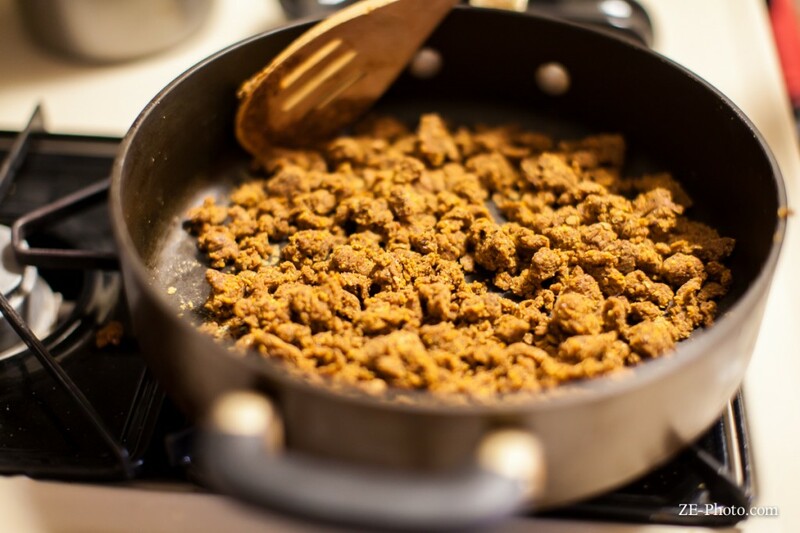 If you pay attention to this blog at all, you know that I have a love affair with Mexican food and have a few different recipes for tacos – like Portobello Walnut and Potato “Bacon”. 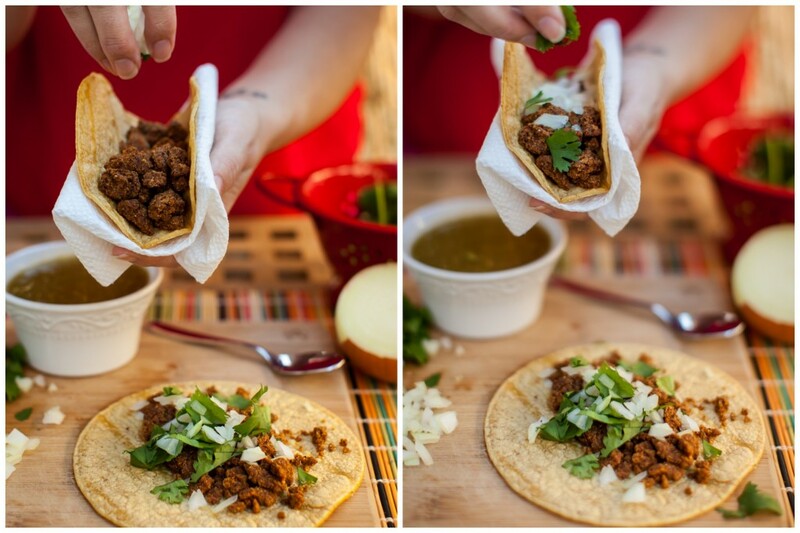 I can’t really call these street tacos a recipe, because it’s just a couple simple ingredients thrown on a corn tortilla, but it still packs a flavorful punch! 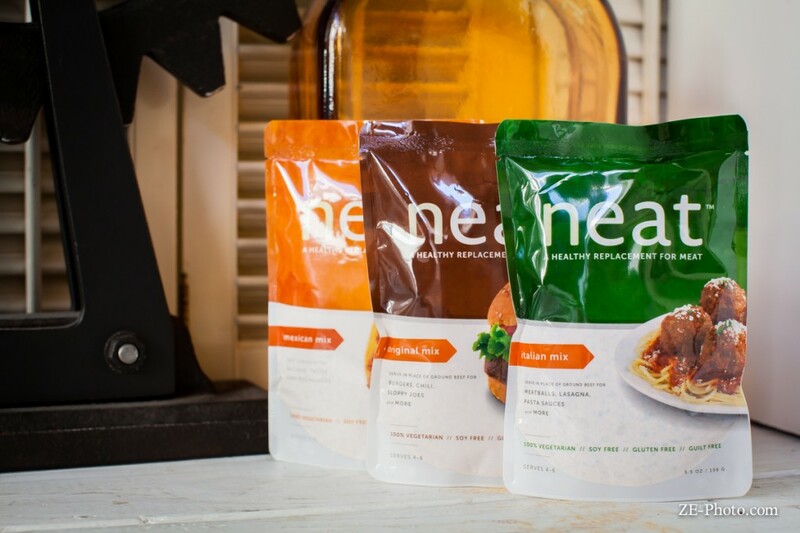 I mixed up the Neat according to package directions – combine 1 pack of Neat with 2 egg substitutes and 2 TBSP of water. I noticed this gave me a very thick consistency and I was having trouble getting it to crumb up in the pan, so I added another TBSP of water and that helped tremendously. So if you decide to try this out, don’t be afraid to add a little more water to get your desired results! The Neat cooked up fast and I piled it on to heated corn tortillas and topped with fresh onions, cilantro and salsa verde. The flavor of the Neat was spot on! They don’t list what spices they use in the Mexican blend, but I’m assuming cumin, garlic, maybe a little chili powder. The texture is slightly gritty and pasty (for lack of a better word), but not in a bad way. The softness of it actually complemented the crunch of the fresh onions and I quite enjoyed it.